The downs above Morvah in West Cornwall are mystical with ancient and industrial heritage woven together in a moorland landscape. 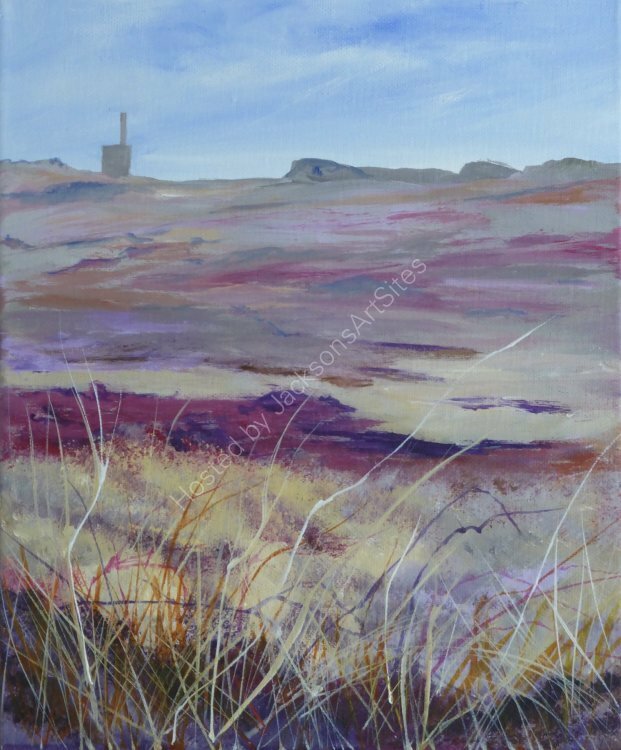 Looking across the downs to the Ding Dong Mine engine house on crest of the hill, the mood and colours of the moorland inspired me to paint this scene. I love it on these moors, with the rugged cliffs and sea visible below and the wild open spaces above. An original painting in acrylic on stretched canvas, ready to hang. Overall size 25 x 30 cms.